The Christmas story is a familiar one for many people. A young woman named Mary who had been expecting a child gives birth whilst she is on a long journey with her newlywed husband Joseph. A little child is born as the couple struggle to find a roof for the night. During the same night and in the few days after strangers come knocking on the stable door wanting to see the little child. Told in this way the Christmas story seems nothing out of the ordinary – perhaps just a set of coincidences, the unfortunate due date for Mary, and nosey shepherds. But is it really the case? If we look at the Christmas story in more detail, looking at each event surrounding the birth of Jesus, we get a completely different picture. Told in this way the Christmas story has a different meaning. In this way all the bits of the story, all the people touched by the amazing birth, come together as pieces of a complex jigsaw-puzzle; piece that no matter how different they are from one-another, they all have that beautiful, amazing, little child in common. In fact, I have always wondered whether or not these people knew what was really happening in that moment that changed their lives forever. I have always wondered how they reacted to God’s not-so-subtle invitations to be part of his story, and whether or not they knew who they were all welcoming in their lives on that night. What about Joseph for example? What about the man whom the Bible describes as a ‘righteous man’ (Matthew 1:19) – a description very rarely used in the Scriptures? He seems to be cast aside more often than not in our Christmas narratives; relegated to a B role together with the stable animals. And yet Joseph plays a vital part in the Christmas story. Jesus is born in Bethlehem because of him. Jesus is born in the city of King David because Joseph had to travel to his ancestral town to be registered for the Roman census. What’s more, because of Joseph’s willingness to be an adoptive father to Mary’s child, Jesus is provided with a distinguished pedigree; with a line to the royal throne of David. Because of Joseph’s willingness to welcome Jesus, God himself finds nourishment and protection in his fatherly care. The arrival of Jesus in Joseph’s life must have been accompanied by soul-searching moments about the origin of this baby, by doubts about the future he was planning for himself, and by fears about what others may think of him. The arrival of Jesus must have been a truly radical, life changing event for Joseph. Yet, he says his yes to God who invites him to participate in the story of redemption, in the story of Christmas. He welcomes Jesus as his own little son, as that treasure who would change his life forever. To accept the child Jesus in our lives like Joseph did is what God is asking each of us so that we may all become part of the Christmas story. As Jesus did for Joseph, Jesus comes to each of us as a gift (oftentimes as a much unexpected gift). As the child Jesus did for Joseph, Jesus doesn’t come from ourselves or our own efforts – we are just asked to receive him with an open heart, welcome him, and let him reshape our lives. 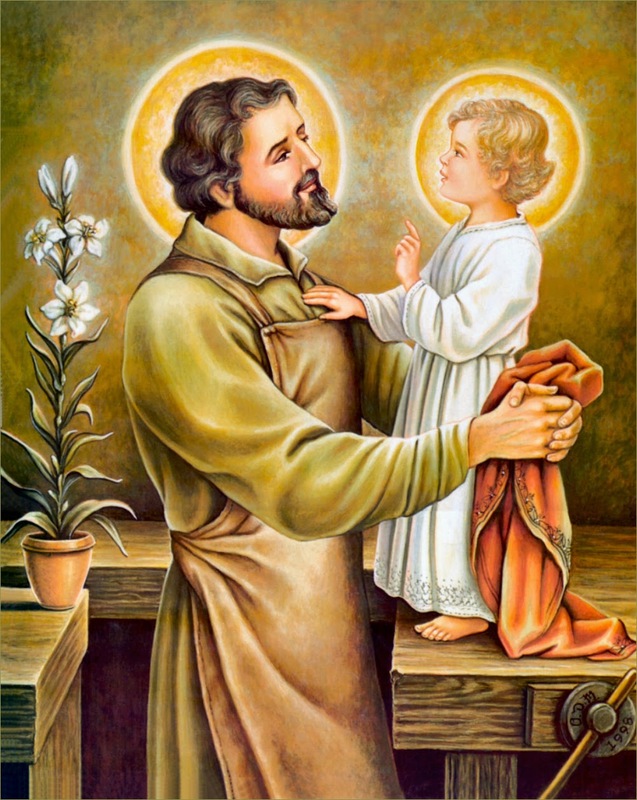 As Joseph did with that little child, we must allow Jesus to grow in us and to change our lives, our habits, our everthings, until we cannot picture ourselves even for a moment without his warmth, without his joy, and without his comfort. It is my wish for you all that your Christmas may be truly blessed, blessed by the presence of Jesus, the holy Child of Bethlehem, in your life. Amen.